Made with the same quality ingredients as our award winning rich chocolate brownie but with the addition of crunchy peanut butter. Allergens: Contains - Eggs, milk, wheat, CONTAINS NUTS. 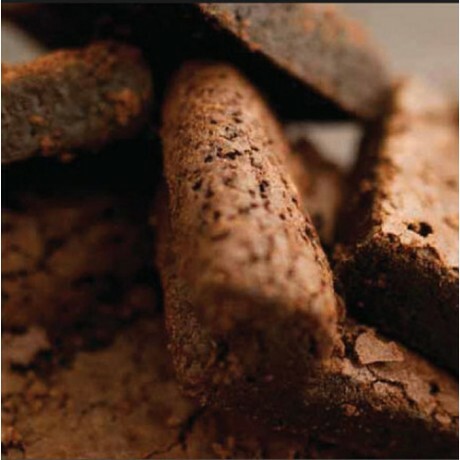 Choose from 6, 12, 20 brownies per pack. Sugar, butter, free-range eggs, cocoa, flour, chocolate, peppermint extract, vanilla extract. Refrigerate or store in a cool dry place. I bought some of brownies as a treat for the family. wow!!! They are fantastic, we are all lovers of chocolate brownies in our house hold and we were all agreed they are the best we've had. Would definitely recommend them. The best brownies I have EVER tasted without a doubt! I must say I have never tasted such amazing brownies, they've made any brownie I have eaten since taste poor! They are so moist with a lovely rich chocolate taste. We had to fight over the salted caramel ones in particular!! A great find. I'll be ordering more - for me and as gifts! This product is dispatched by Serious Treats. This item has a shipping weight of between 1,000g and 2,000g depending on the options selected.